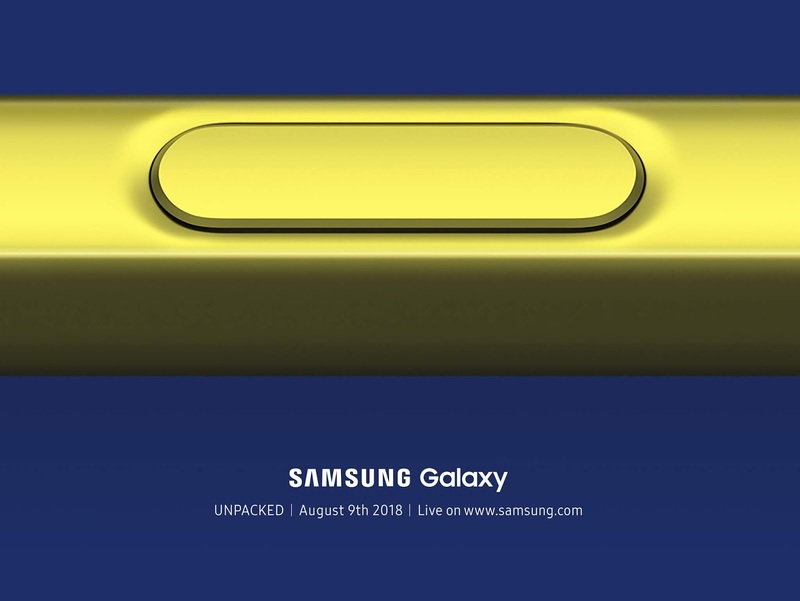 Following the traditional double flagship a year release pattern, Samsung, Android's biggest OEM, is all set to unveil its latest flagship beast and the ultimate productivity powerhouse - the Galaxy Note 9, during the Samsung Galaxy Unpacked event on August 9, 2018. Every year, Samsung releases their S flagship in Q1 and their giant, S-Pen rocking Note flagship in the middle of Q3. This year will be no different, with Samsung sending out invites to its Unpacked 2018 event. While Samsung hasn't officially mentioned the name "Note 9", you can bet that it's what we'll be getting - with a teaser video showcasing a golden colored S-Pen, which you can watch down below.